Selina Stanley filled all of her personal details on an online form to apply for citizenship, only to find out that it was a ‘fake’ website. Selina Stanley holds an Irish passport and having lived as a permanent resident in Australia for many years now, she went online last week to apply for citizenship. 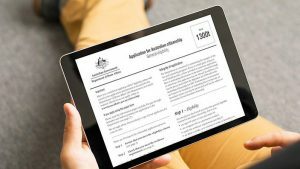 The website asked her to fill out the 1300t form – the one used by the Department of Immigration and Citizenship. Ms Stanley says she called the Department of Immigration immediately to report this fake website. “The lady who answered said, ‘yes we know’, adding it was impossible for them to keep a track of all the fake websites out there. She asked me to file my citizenship application ‘in the proper’ way”.